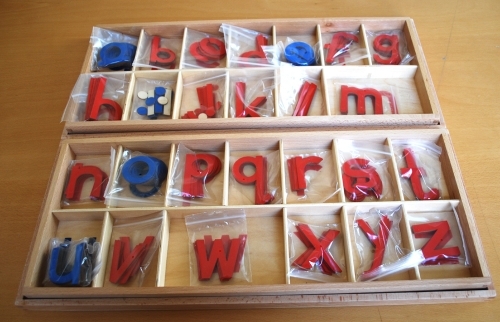 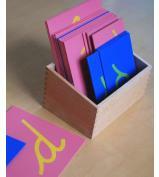 A set of large wooden movable letters presented in a wooden box. 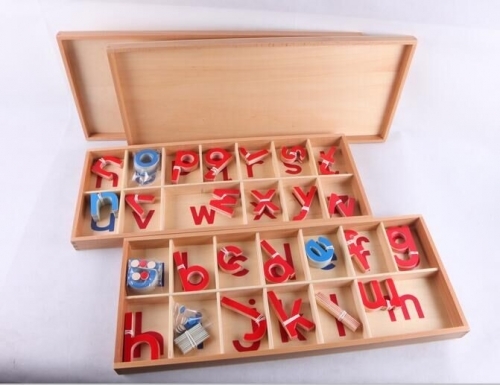 Consonants are red and there are 5 of each. 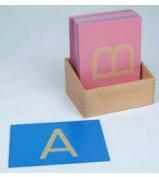 Vowels are blue with 10 of each. 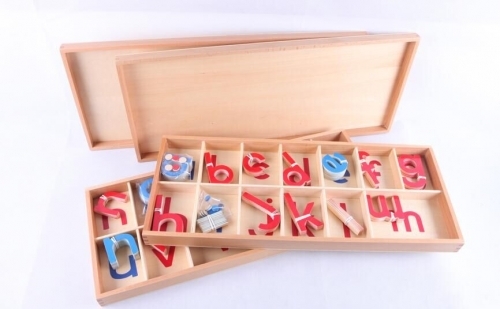 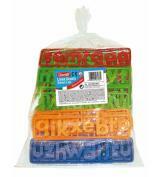 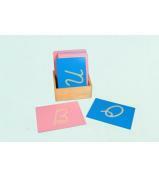 Ideal for teaching the naming of letter, spelling and word building which is reinforced though touching and feeling the shapes of the letters.